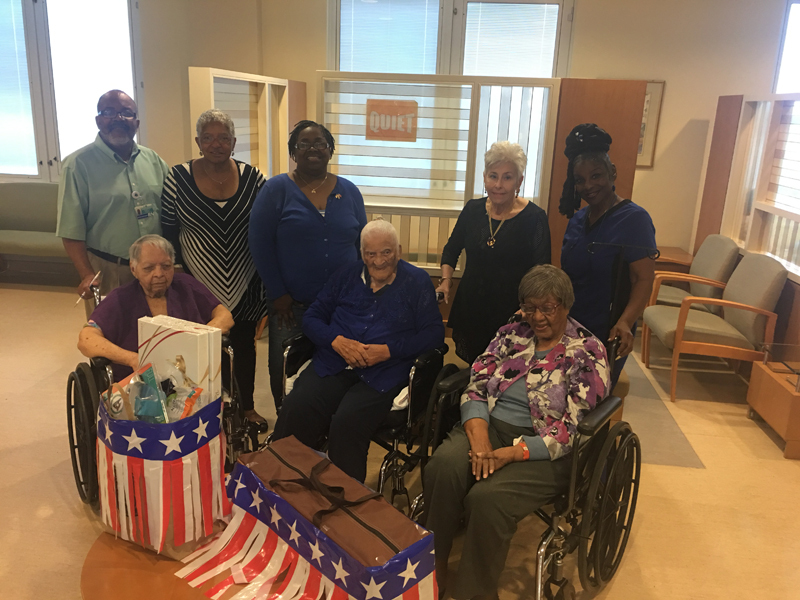 Residents of Long Term Care at King Edward VII Memorial Hospital [KEMH] will be able to enjoy some activities outside in the coming months thanks in large part to a donation from the American Society of Bermuda. Club president Ellie Najac said the Society, comprised of US citizens who live in Bermuda, make donations quarterly to various groups on the island. A tent was in the gift pack donated on Friday 20 April by members of the Society at KEMH. Activities coordinator Capri Smith said the tent will allow her to move some activities outdoors in the coming months, as it will provide much needed shade for the senior participants. At 105, Louise Franks, the oldest resident, was on hand at the presentation. She regularly enjoys participating in arranged activities.